BlackBerry Tag will let RIM NFC phone users add each other as BBM contacts and share multimedia content via NFC. Research In Motion co-CEO Jim Balsillie has unveiled an NFC-based information sharing service called BlackBerry Tag at the Gitex conference in Dubai. BlackBerry Tag will allow users to share contact information, documents, URLs, photos and other multimedia content by simply tapping their BlackBerry smartphones together. The service will also enable friends to instantly add one another as contacts on BlackBerry Messenger (BBM). 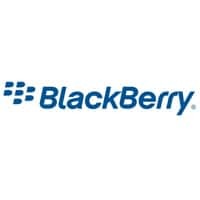 BlackBerry Tag will be incorporated in the next BlackBerry 7 OS update and will be available to users of BlackBerry NFC phones, including the Bold 9900/9930 and Curve 9350/9360/9370, “subject to network operator certifications”.